It was a bit of a struggle to find a a purse; it seems that the trend is big and bulky. this would be annoying for when I need to use a small bag or clutch, however on the plus side it would be easy to dig when I'm using a massive bag. This purse is simple, cheap and cheerful. However coming from Primark, this means mass production and loads of people owning it......in fact as I was in the queue waiting to pay for the purse, I saw 2 others ladies using the same purse to pay for their items lol! Very cute!!! Love the details! 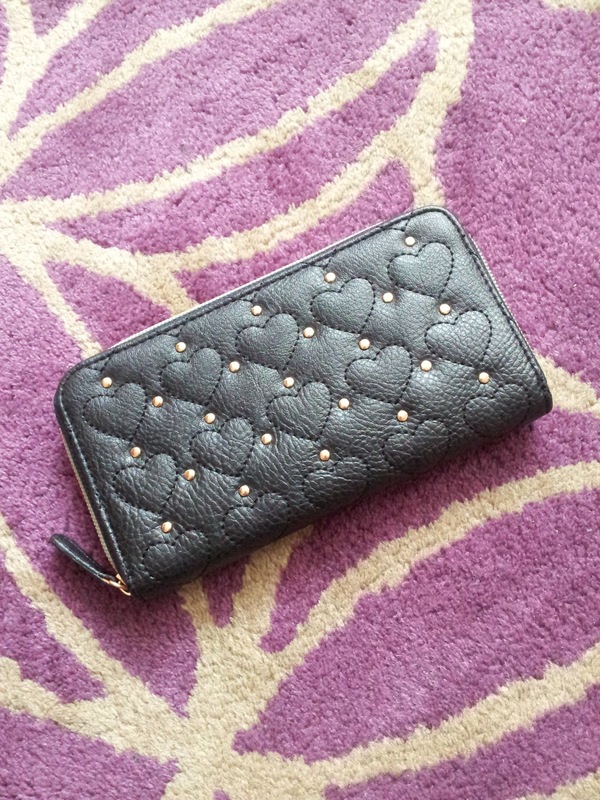 Adorable little wallet! i love it! Cute clutch! I bet you will get a lot of use out of it. Don't miss my jewelry giveaway! Precious clutch. Totally love it. Thanks again for dropping by the blog! I actually thought that it was a Marc Jacobs purse! Primark is doing bit things. I need a new purse as well. thinking of getting a Marc Jacobs or Prada one, for longevity. Might get this one too as it's only 4 pounds! That's such a cute purse!! I actually prefer smaller purses than big and bulky purses too! !